It is surprising to see how the understanding of certain aspects of energy medicine are not stressed during traditional medical training, given their importance in daily operations and in the surgery of the future. In fact, our identity as surgeons will eventually end up depending on it. You may think you know enough about surgical energy — but ignorance about the topic and its importance is common. 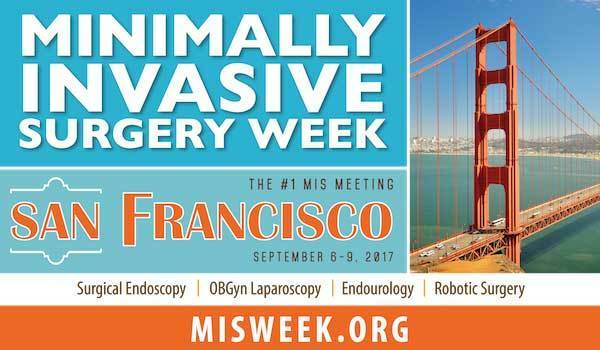 The importance of learning about surgical energy and its future is the reason we are highlighting these technologies in a exciting session being presented at MIS Week in September. As most of us know, surgical energy and energy devices are essential in the modern OR, yet the vast majority of surgeons do not understand the basic principles, applications, and patterns of complications. When Pennsylvania Congressman John Murtha died in 2010, which likely involved an electrosurgical injury, it led to a renewed interest in both research and education in the safe use of surgical energy-based devices. If we can get the surgeon to recognize the patterns of the complications, they can begin to modify how they use energy-based instruments in the OR and avoid the very real risk of surgical energy-based device−related complications. Surgeons currently are not required to train on specific energy-based devices or to document their knowledge of safety issues related to their use. There are approximately 40,000 burns by electrosurgical devices every year.2 During laparoscopy, 70% of these burns may go undetected. Safety aside, understanding the different surgical energies and the nuances of the devices used to deliver them is critical not only to current operations, but to a surgeon’s future in medicine. The use of molecular energy to operate is not far off. • How energy causes effects in cells and tissue, as well as learning the basic function of an electrosurgical generator is important to know. Understanding the applications of electricity requires a basic understanding of the effects of temperature on the cells and tissue. • Understanding that electro-surgery is about the control of current density, allows the surgeon to increase safety and versatility. • Surgeons are not specifically trained on the mechanisms by which monopolar instruments produce their clinical effects nor do they know their optimal use. Knowledge gaps remain common, and injuries are not rare. • Knowing the differences between monopolar and bipolar instruments, and the basics of their application is key information that is necessary for the surgeon to understand how to develop and refine one’s surgical skills. • Bipolar devices contain both the “poles” in the tip of the instrument, which focuses the energy delivered and reduces the energy required. This allows for electronic monitoring of tissue, with each manufacturer having a slightly different monitoring system. • There are key advantages of the use of advanced bipolar energy, and how these devices and their effects are monitored is also important. • Every surgeon must recognize the critical importance of ultrasound in the current and future practice of surgery. The majority of surgeons don’t have a minimum understanding of these technologies. • Surgery by molecular energy is in our future, and knowing what is being studied and what surgeons can expect to be available for their use is crucial. Being able to ask questions in a live setting can help us learn the latest and the future applications. There is a science and an art to understanding electrosurgery. This involves the control of current density, that is defined as the amount of current per unit area of the electrode in contact with or near the tissue, and this is what allows the surgeon a more safe and versatile surgery. There is much more basic education to cover, which will be accomplished during the session, but it is also vital to talk more about the future of energy medicine. This aspect of medicine should be incorporated within the curriculum of medical schools world wide, just as minimally invasive surgery was finally included in the 1990’s . Scientists have long known that many forms of energy such as light and ultrasound can penetrate through tissues just as x-rays do (but without harmful radiation). By choosing the precise frequency and power of directed energy, it is possible to use it to make a diagnosis or to perform a surgery. This can be done seemingly instantaneously with a single instrument, at either the tissue, cellular or molecular level. Directed Energy for Diagnosis or Therapy (DEDAT), as we now know it, was based on a concept conceived originally by Richard Feynman, who gave a famous talk on the topic in 1959 at Cal Tech to the American Physical Society. He inspired us to look to molecular energy to heal patients. Because patients are continually demanding progress, we believe that as strategies for using energy result in leading edge technologies, non-invasive surgery will eventually become a reality providing many powerful options in our tool belt as surgeons. During the MIS week session on energy, experts will be discussing how to present energy technology to scientists and surgeons in a way that summarizes its importance to the future of medicine. How does it work? Nanotechnology involves the control of nano-materials and nano-devices, depending on the tools and methods for manipulation at the nanoscale. There is incredible potential in the manipulation of each molecular species, though at this stage it is still very difficult. But it is not far away. We are already making progress in the research of molecular energy and brain tumors, in optical research, and other areas. As an example of some of the newer imaging research, broadband Coherent Anti-Stokes Raman Scattering (CARS) micro-spectroscopy is beginning to make an impact after more than a decade of instrument and method development. CARS can rapidly generate high-resolution images with high quality abilities. Raman spectroscopy is a laser-based technique that can be used to nondestructively differentiate molecules based on the inelastic scattering of light. While most of the existing instruments are prototypes being used in research projects, it appears that the relevant technologies are maturing at a rate that will allow commercially available instruments in the foreseeable future, making these remarkable imaging modalities widely available to clinicians. There are advances in the surgical management of brain tumors, that are achieving more optimal surgical results. However, there is much more work to be done in order to identify and destroy tumors. Certainly, as the science matures, it will become an important component for identifying residual tumor and improving the surgical management of brain tumors. There are other advances in various specialties, and we are now at a tipping point where we realize that energy medicine will be making great strides in the future. We want to be aware of it and learn all we can in order to be prepared for what we can count on—exciting developments in energy medicine. About the Authors: Both Raymond Lanzafame, M.D., M.B.A. and Richard Satava, M.D. are board members of the Society of Laparoendoscopic Surgeons (SLS). Their discussion on energy medicine will occur at MIS Week in San Francisco, on September 7th, 2017.